You need to build your email list, and fast. The thought of purchasing one may have therefore crossed your mind. Are they really as bad as they seem? In a word, yes. Purchased lists are never the right answer. The associated costs and risks far outweigh any potential benefits. Don’t worry though, there are other, more effective ways to get subscribers quickly, without paying for straight up data. Imagine you signed up for and receive a daily news aggregation email that you happily open, scan, and read when you can. Then one day as you’re scanning the latest trendy tech headlines you get a second email notification—this time offering a discount for an online pet supply store. This seems strange as you don’t have any animals. Where did this email come from? Did you sign up for something without remembering it? Either way, after a couple seconds of confusion you send it to the trash folder. Unbeknownst to you, the pet supply store obtained your email from the news aggregation site. In an effort to increase sales for their new dog treat launch, they purchased a list with your information on it. This happens more often than you think—and it generally provides a bad customer experience. When you reach out to someone who hasn’t opted in for your messages, the first few seconds of interaction with your brand are filled with confusion. Even if you can get past the initial bewilderment, there’s no guarantee your products or services will even be relevant to recipients. You can try to find lists that are relevant to your niche, but if you haven’t confirmed they want to hear from you, your marketing performance will still suffer. With the average person receiving over 117 emails per day, tolerances are slim for emails that aren’t explicitly requested. Overall, purchasing a list of emails without the consumer’s consent is far from ideal. The question then becomes—what should be done instead? Traditional methods can work—organic traffic, buying ads across social media and exchanges, affiliate marketing, or AdWords, for example—but these can be time consuming, expensive, and/or require a pre-existing audience. There is another way to grow a list of quality, engaged subscribers quickly: Opt-In Ads. 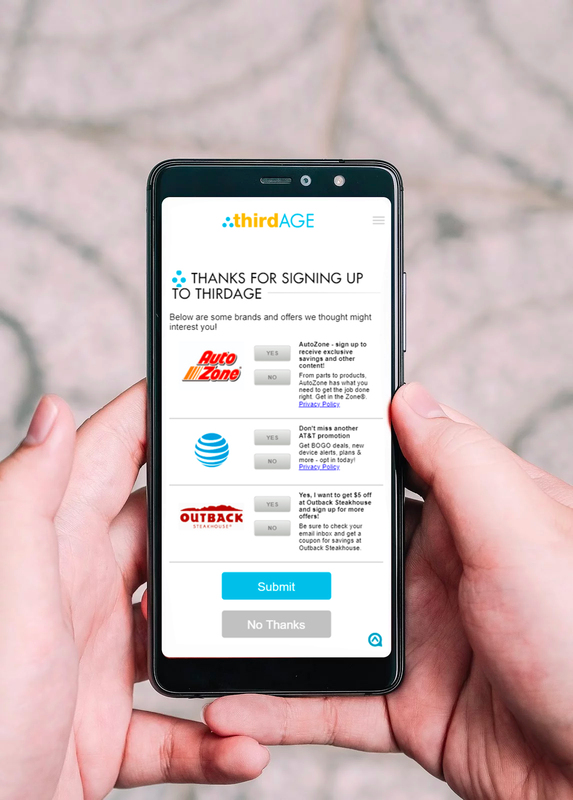 Opt-in Ads are highly interactive ad units placed on the thank you and confirmation pages of websites, shown immediately after a consumer signs up or registers on that site. When visitors land on such pages, they’re given the opportunity to sign up to receive emails from other interesting and relevant companies. Easy, interactive ads streamline visitor sign-ups. When users see these ads they’re typically in an action-oriented mindset because they just signed up for another product or service. This makes them more likely to take another action when presented with something valuable or of interest to them. 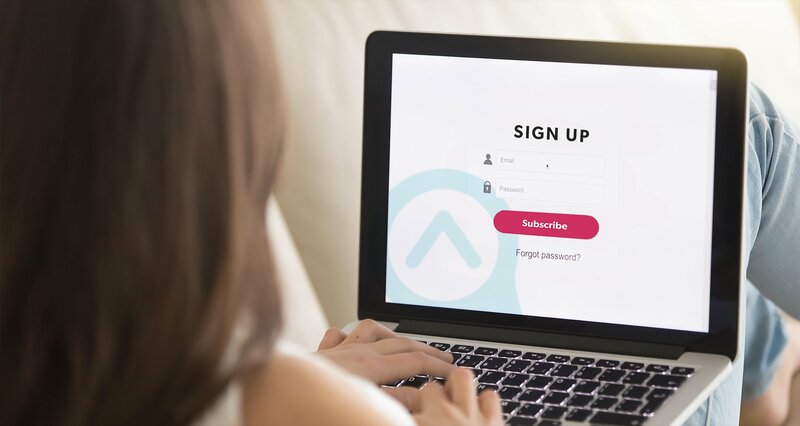 Opt-In Ads leverage this action-oriented mindset and reduce friction through interactivity—users can sign up for an advertiser offer without leaving the site they’re on. In most cases they don’t have to fill out any forms—the ad unit works with the website to let visitors use data from their most recent onsite submission. This unique format and placement enables Opt-In Ads to perform very well compared to other formats. Results come quickly because ads leverage existing traffic, and once opted in, each subscriber can be engaged in an effective and ethical way. If you’re trying to grow your database fast, buying an email list isn’t a good option. You’ll confuse consumers, provide a subpar customer experience, and see reduced marketing performance. If you’re looking for more subscribers, you should stick to other proven options—such as leveraging existing traffic—or give Opt-In Ads a try. They can provide great results quickly, and make customers happy to interact over the long run. For more information about Opt-In Ads, growing your database without buying an email list, and creating a strategy to achieve and surpass your marketing goals, contact our experienced team of acquisition marketing and lead generation specialists, today. 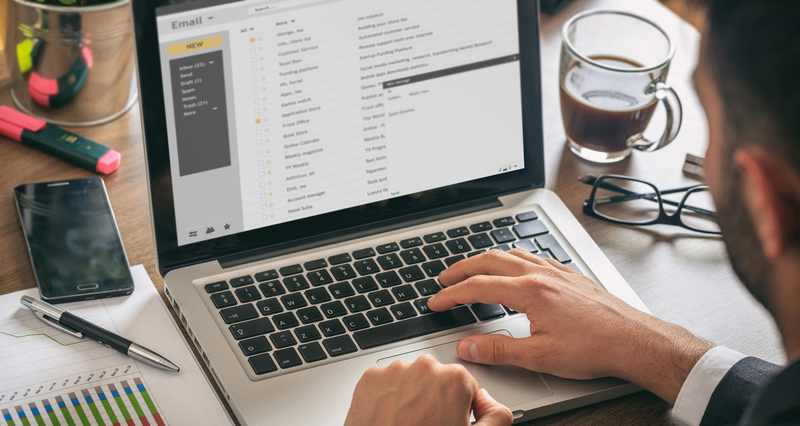 Utilizing Opt-In Leads is a proven and effective way of quickly growing your database without buying an email list, resulting in high-quality subscribers who want to interact with your brand. Request a demo or give us a call to speak to one of our representatives. © Copyright 2019. AdQuire Media. 12 E 49th St, New York, NY 10017. All rights reserved.